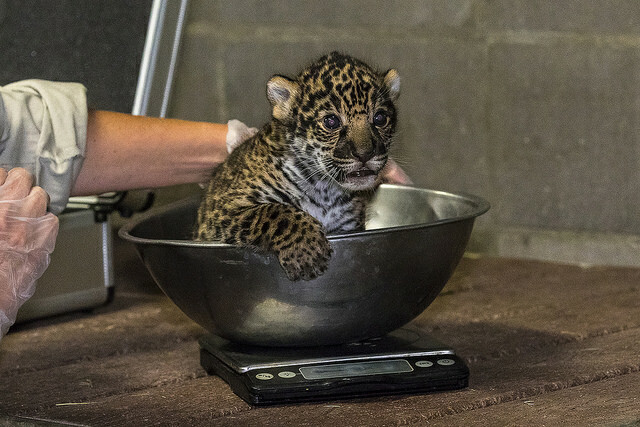 Jaguar cub Valerio is weighed at the San Diego Zoo. ©San Diego Zoo Global. All rights reserved.